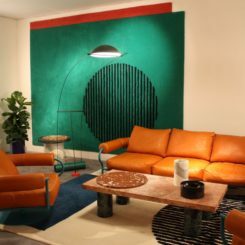 The art and design worlds converge on Miami each year, and while most are headed for Art Basel and the many concurrent art fairs, Design Miami is just as big a draw for those interested in functional design and furnishings. 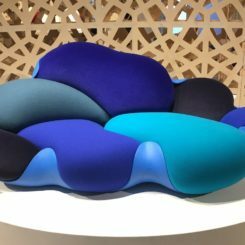 Homedit made its annual pilgrimage south to this high-end global design fair to bring you the latest creations from some of the most influential established global designers as well as stellar emerging talent. The large 3-D printed structure dominated the entrance plaza. 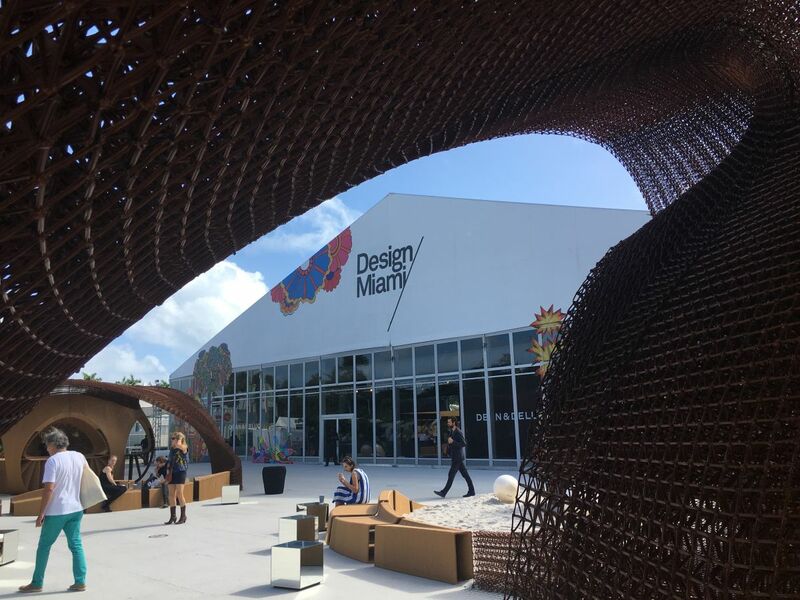 Even before walking through the door, visitors were presented with a truly innovative entrance plaza, donated by the world’s largest 3D printed structure — with it’s own Guinness World Record. 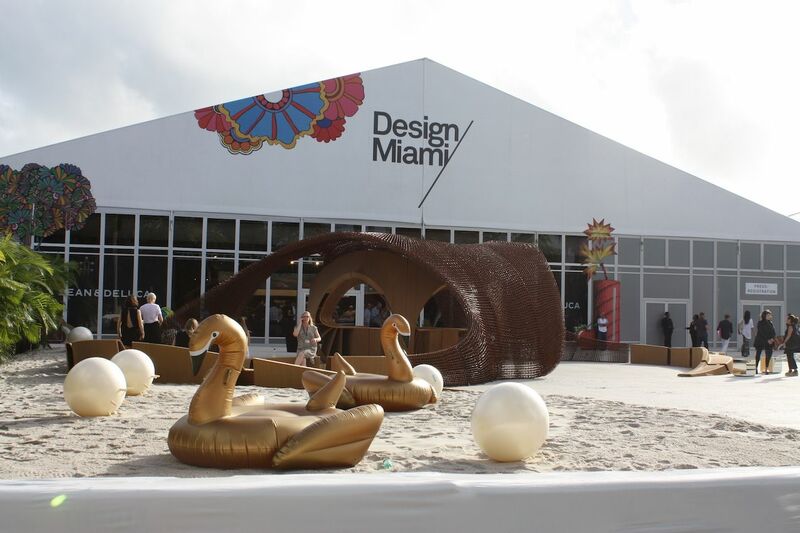 Named “flotsam and jetsam,” the entrance plaza was designed by SHoP Architects, using biodegradable bamboo. 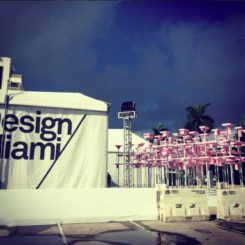 If you missed Design Miami, you’ll be able to see the structure in the city’s Design District after the fair. 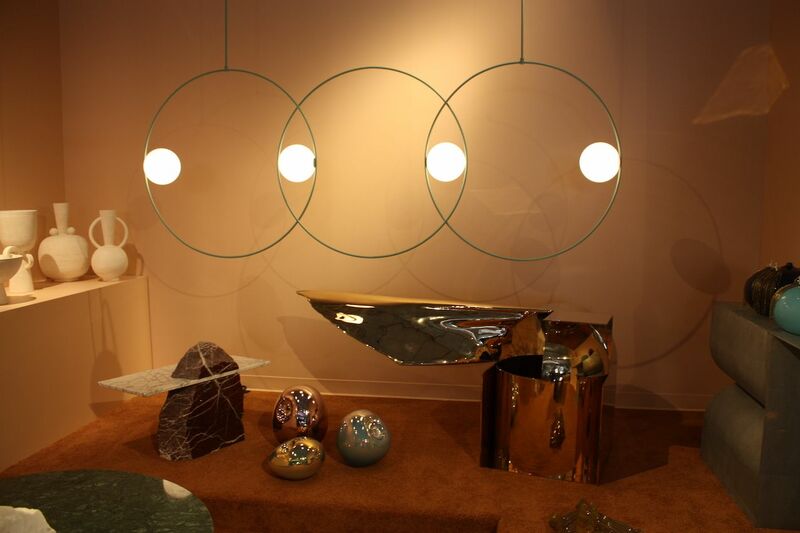 We’ve picked our top favorites from the show, from lighting to objects and furnishings. The sand yard and oversized toys were a playful nod to the beach. 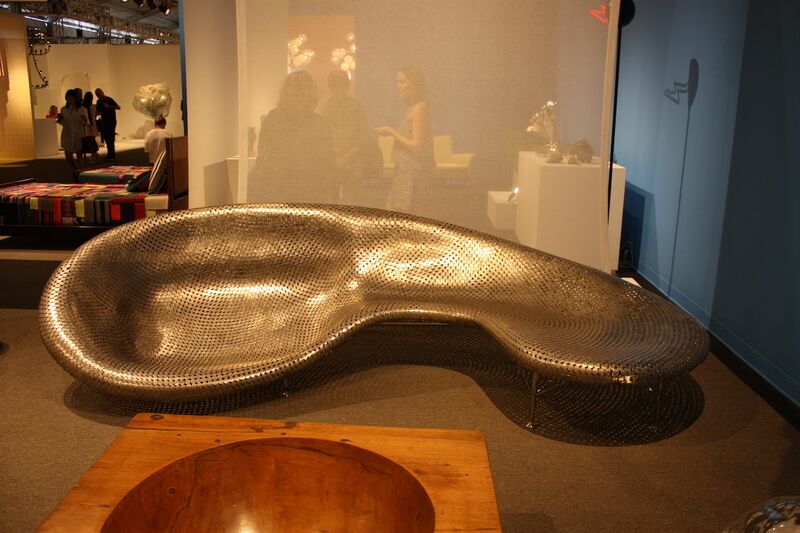 Carpenter’s Workshop Gallery presented a range of spectacular pieces including this Agency Sofa by Vladimir Kagan. 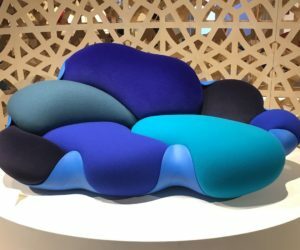 We were charmed by the sensuous curves that grace every line of this sofa. 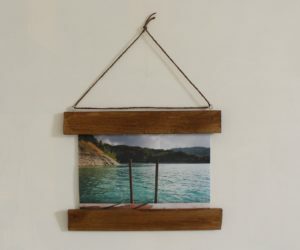 The frame is American Walnut and it is upholstered in boiled wool. Belgian artists Job Smeets and Nynke Tynagel of Studio Job created this piece as a commission for Chamber. 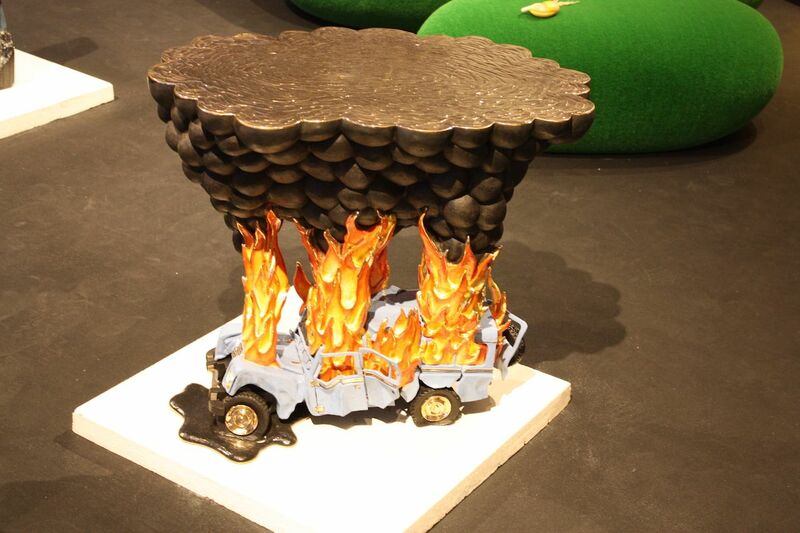 Car Crash was designed for Design Miami/, and is one of a continuing series of pieces conceived in collaboration the gallery and artists. Artist and designer Arik Levy created ICE for COMPAC, the Surfaces Company. The installation is created from Levy’s expressive Genesis collection created for COMPAC. 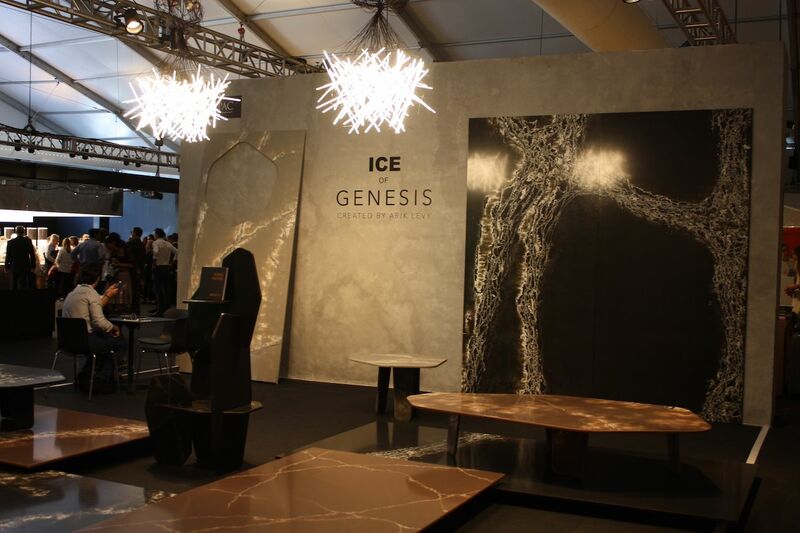 Inspired by the frozen Arctic lakes of ice, Genesis features visual fragments similar to those found in natural stone. 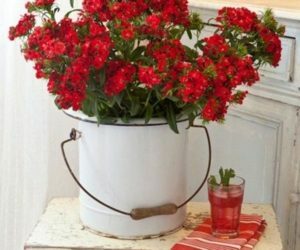 He endeavored to give depth to a material that is hard and flat by nature. 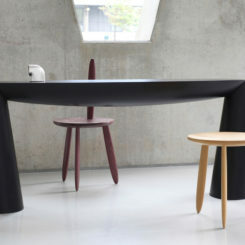 Levy’s installation shows how the material can be used in surfaces and furnishings. 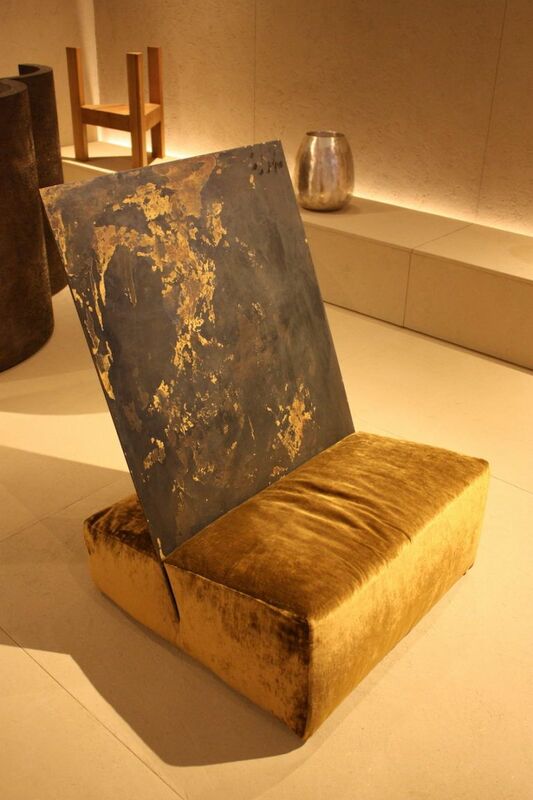 This noteworthy chair by Henrytimi from EraStudio Apartment Gallery features a bronze sheet that slices into an angled velvet base. 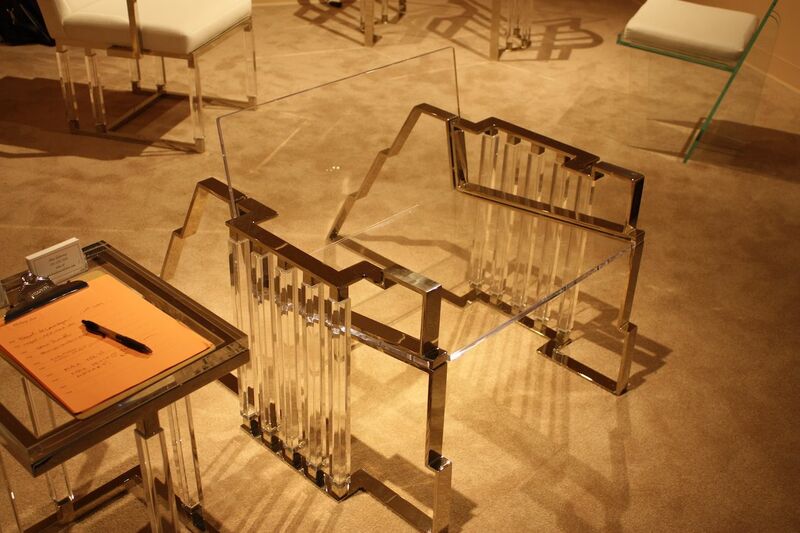 The juxtaposition of the hard metal against the plush, upholstered base is unexpected and lavish. 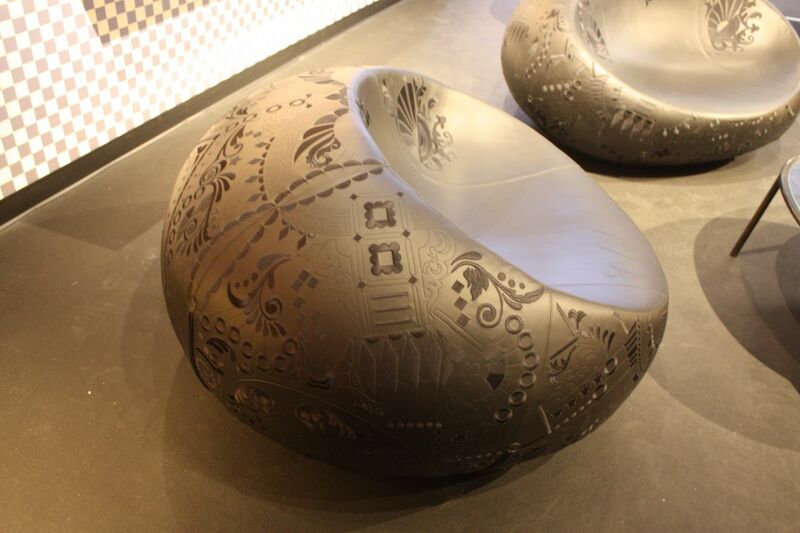 The organic patina on the bronze adds to the “Cathedra MMXIV” chair’s appeal. We were definitely charmed by Marcel Wander’s low faux leather chairs, “Odjurss ate Murmur” (Dark Version), 2016, presented by Friedman Benda. The gorgeous embroidery on the smooth, black surface adds texture and only highlights his mastery of the material. 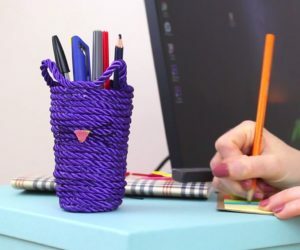 The combination of contemporary shape and old school embroidery are stunning. Friedman Benda’s both was an installation, “Asymmetrical Symmetry,” featuring works by 11 international artists. 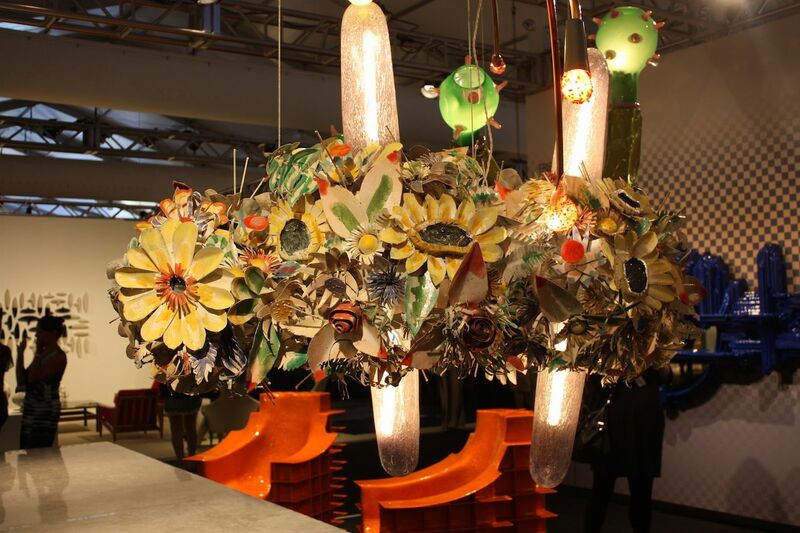 Whimsical, colorful and artful light fixture. 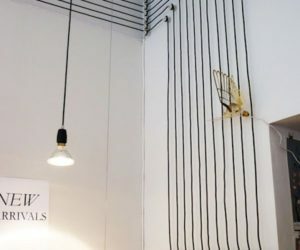 Future Perfect gallery’s booth included the Triple Loop Suspension light by Michael Anastassiades’ created exclusively for The Future Perfect. Thin green rings hold three orbital lights in this spare but stunning fixture. WE are also big fans of Lex Pott, whose fragments tables rough found boulders that are are bisected with planes of perfectly finished and honed stone. 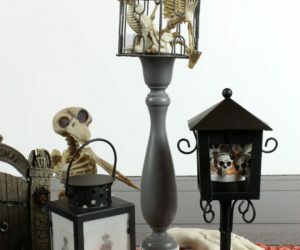 Variety of enticing small objects were also featured. 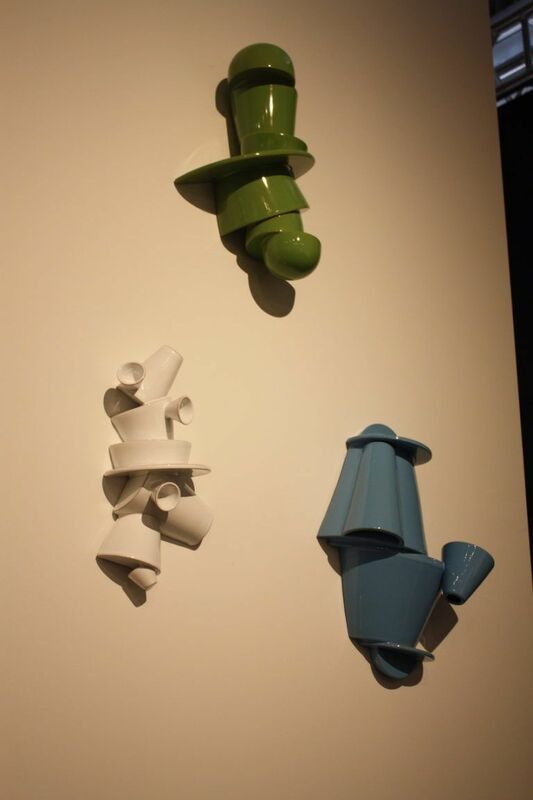 Three-dimensional ceramic sculptures including pieces that seem to resemble everyday items were a feature in the Pierre Marie Giraud Booth. 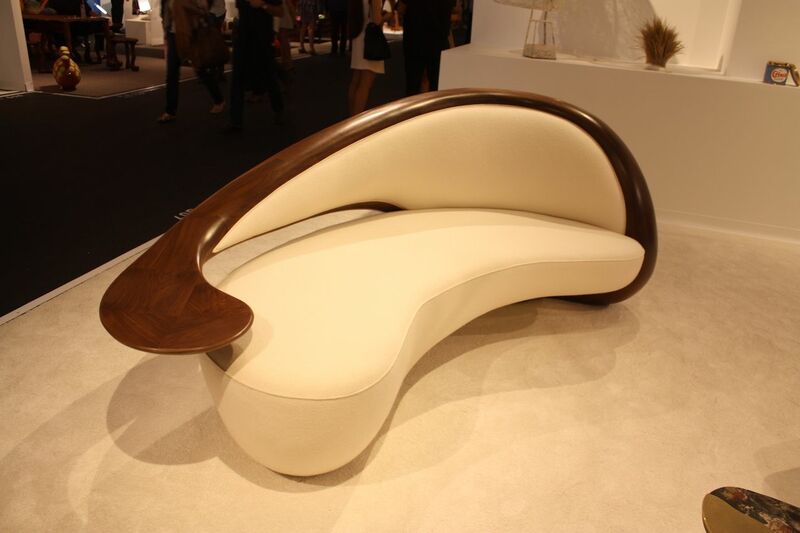 Maria Pergay’s Wave Bench is luxurious in its simplicity. The Paris-based, Romanian-born designer is known for the innovative use of stainless steel. Other Pergay pieces are in the background of the Jousse exhibit. 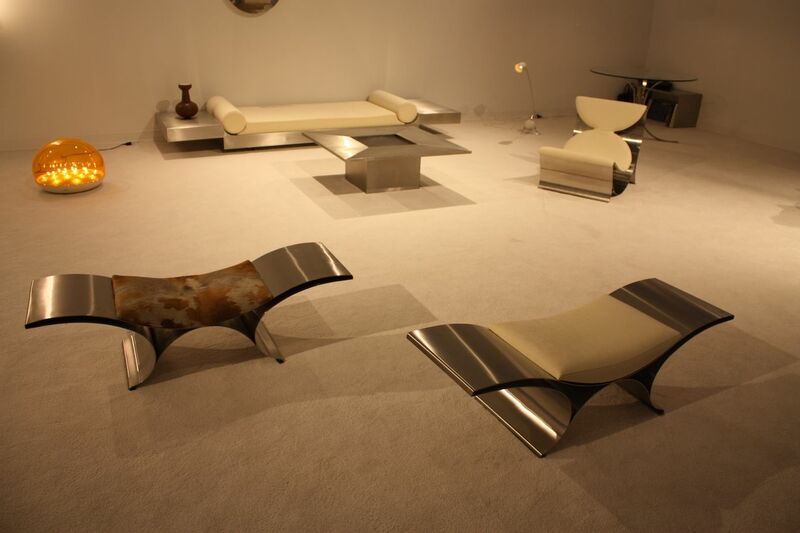 The lounge chair at the back right was created in 1970. 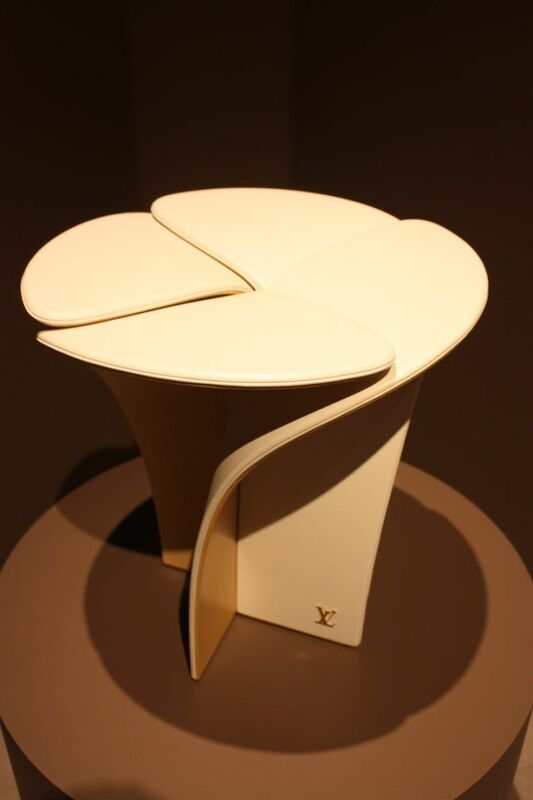 For Louis Vuitton’s Objets Nomades exhibit, Japanese Designer Tokujin Yoshioka created a four-petal “blossom stool.” It is a reinterpretations of Louis Vuitton’s iconic petal monogram. 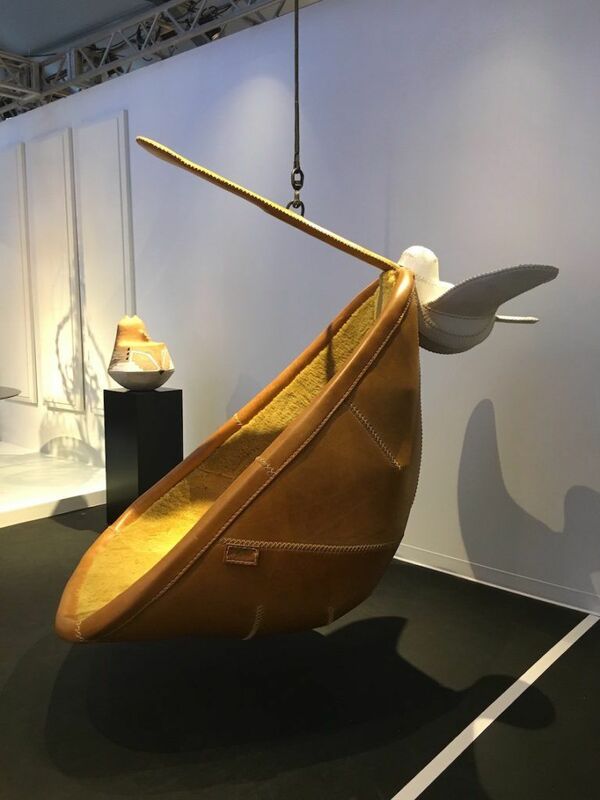 Yoshioka created the piece in gold metal and leather-covered wood. 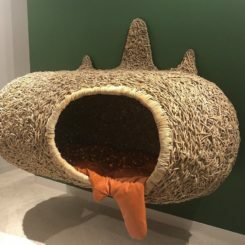 The piece will be on display at the brand’s Miami Design District store. Charles Hollis Jones’ Post Chair is angular and distinctive, with its acrylic seat and bars, set of by the nickel-plated steel frame. It was presented by Michael Jon & Alan of Detroit and Miami. 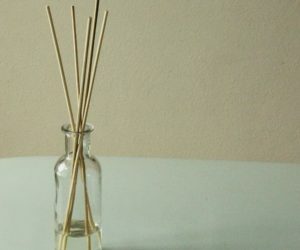 Jones is known for his work with of acrylic and lucite. 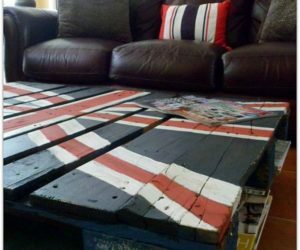 Moore’s pieces are slices of history made modern and relevant. The Haas Brothers are a perennial favorite and their fantastical pieces never disappoint. 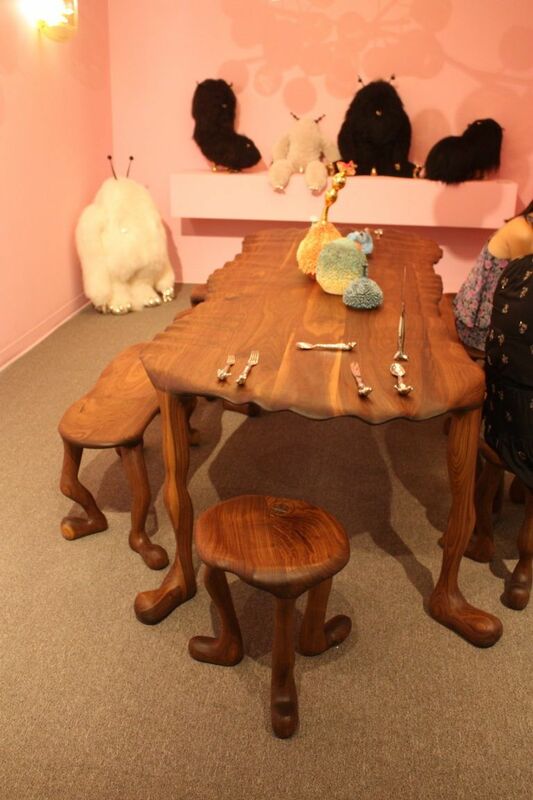 Alongside their freaky little creatures, was this wooden table and chairs with whimsically carved legs. 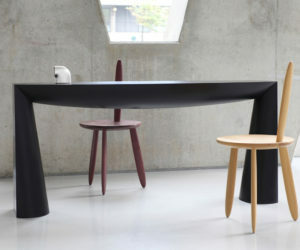 Their take on table legs gives the piece a strong humorous personality. They are presented by R and Company. Creatures and creature-like details are a hallmark of the Haas Brothers’ work. 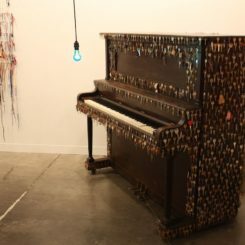 In addition to his large pieces, Swing creates smaller one using other coins like nickels. 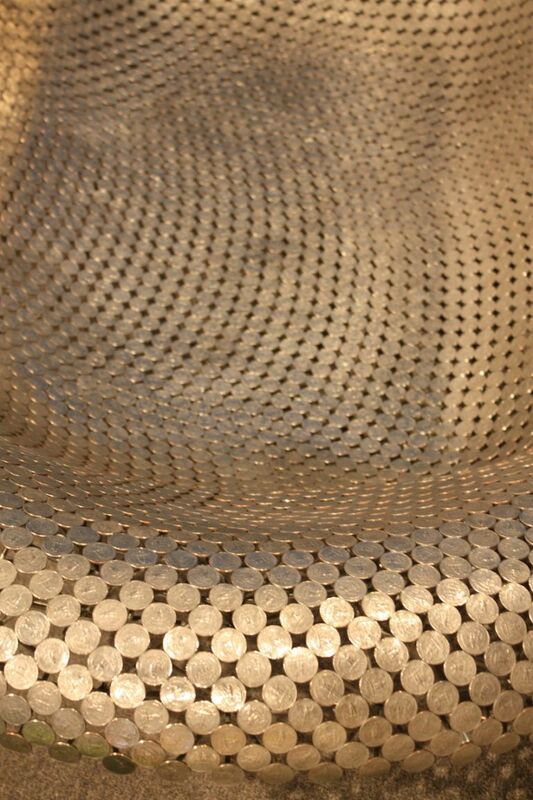 An enormous sofa by Johnny Swing consists of thousands of swelled quarters. 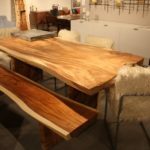 Swing is a member of the American Studio Furniture movement and a master welder. 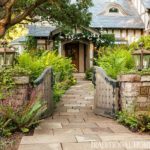 He creates his designs by first carving the form from Styrofoam, casting a negative mold in concrete, and then welding the coins. Very grand! A close up of the meticulous welding. 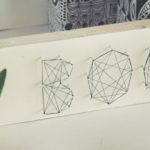 The Southern Guild represents African locally made, limited-edition design by artists and designers in South Africa. This is the Hok Chandelier by Otto du Plessis, who is a founder of Bronze Age, Cape Town-based art foundry. 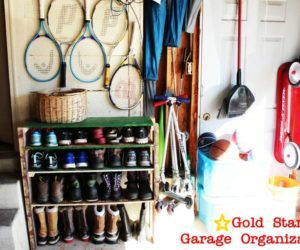 He specializes in casting bronze sculptures with the lost wax and sand casting techniques. 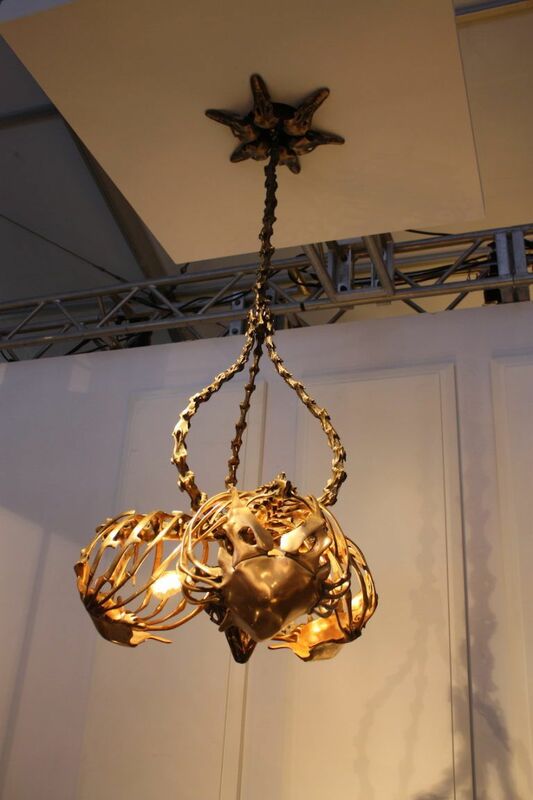 The chandelier is composed of ostrich skeleton parts, cast in bronze. Intricate and unusual, the fixture is a definite conversation piece. 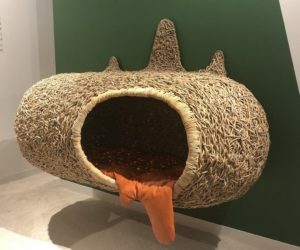 Porky Hefer was back again in 2016 with Pilcanus Iris, a swinging chair of leather, sheepskin and steel. 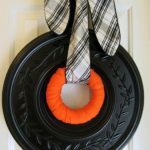 The designer is known for his imaginative creations. In a departure from colors and shine, this André Borderie glazed ceramic table top caught our attention for it geometric deign and appealing simplicity. 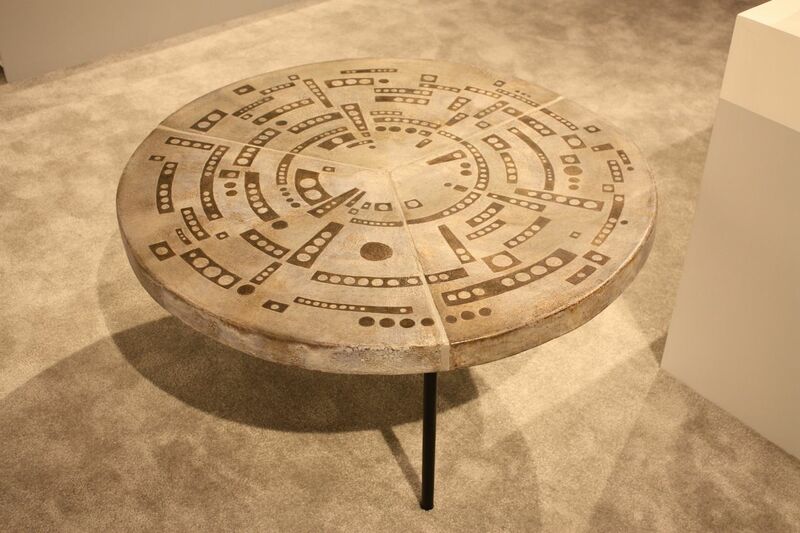 Created in 1959, the table is one of Border’s pieces that had a style that was related to the ethnic pottery of the period. It was shown by the Thomas Fritsch Gallery. The artist’s works often included surrealist geometric abstractions. 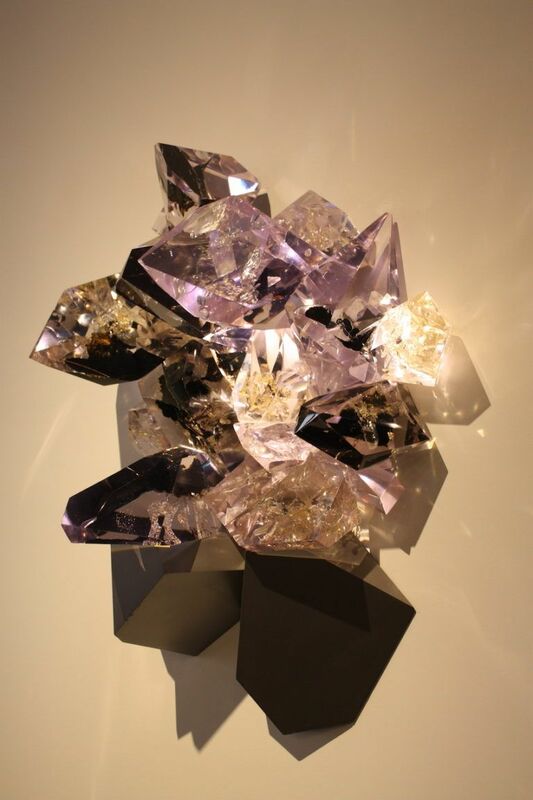 Finally, Victor Hunt Designart Dealer featured some spectacular art lighting, such as this dramatic and colorful wall sconce of gains glass crystals. 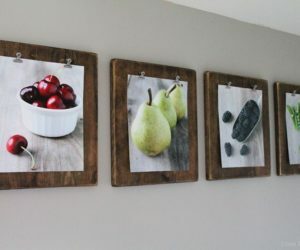 Shades of plum emit a a warm and comforting quality of light. 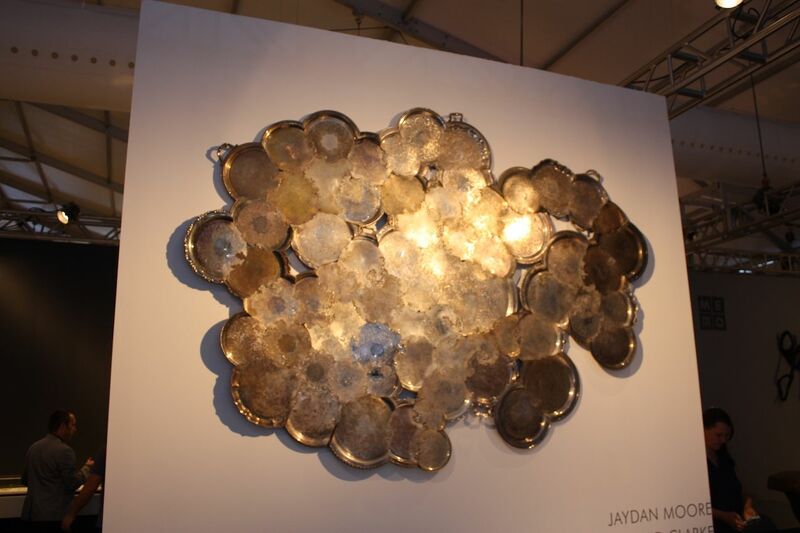 Commonplace Studio’s Wall Lumiere is an enthralling work. Not really a light fixture, it is rather an interactive digital lighting piece. 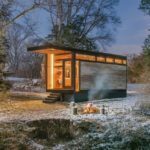 The Studio’s founders focus on “context driven objects, quality craftsmanship, and quiet interactions” while trying to overcome some of the typical limitations of the digital medium, such as tactility. 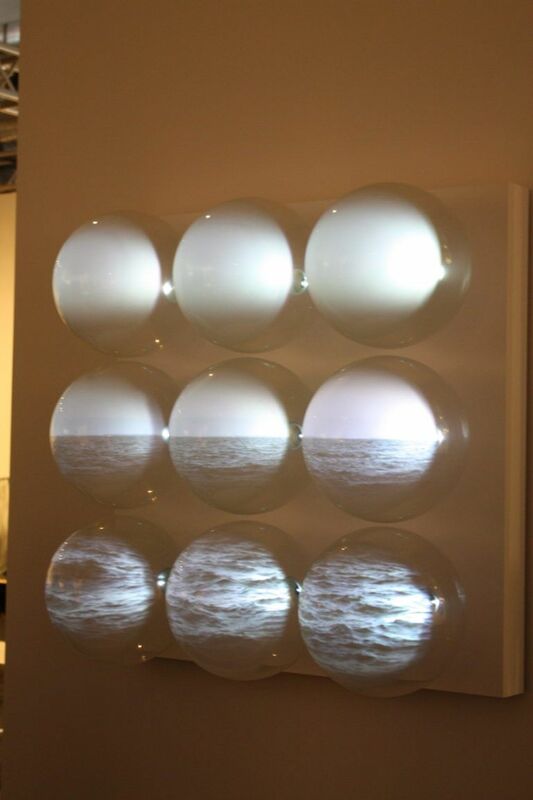 The orbs show a horizon, water and say with changing qualities, from calm to stormy. 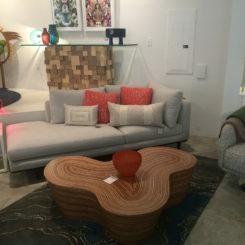 As always, Design Miami had a wide variety of new contemporary pieces that appeal to a large cross section of visitors. 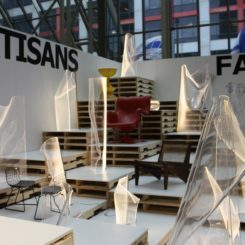 From fantastical and funky to spare and minimalist, it was a visual and tactile delight.